AlphabeNt: Experiments from A–Z presents the 26 characters of the Latin alphabet as you haven’t seen them before: broken, distorted and aesthetically corrupted using digitally destructive techniques not usually found in the designers handbook. Co-authors Drew Taylor and Daniel Purvis created the characters using audio editing software such as Audacity, using standard text editors, by overloading flatbed document scanners, shaking iPhones and kicking computer tables. 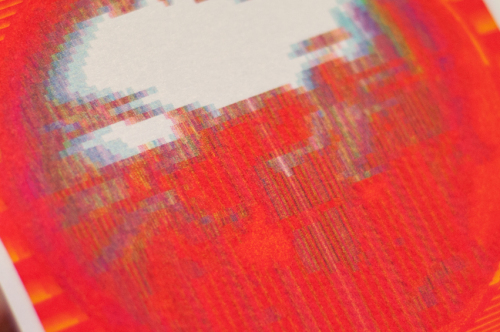 Glitch art, and offshoot ‘databending’, is not unusual and is often featured in modern design. 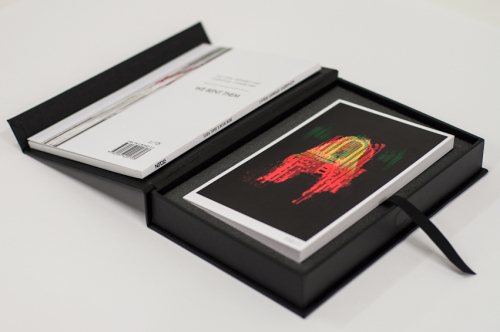 However, AlphabeNt presents one of the first professionally published glitch art books specifically designed to take use of glitch techniques in conjunction with the best modern digital printers and specialist paper stocks. Paper sponsor, K.W.Doggett Fine Papers, provided K.W.Doggett Curious Metallics Digital – Ice Gold 300gsm stock for the printing of the cover and a set of 26 cards featuring the characters from the book. Printed by Kwik Kopy Norwood using an advanced HP Indigo digital printer, the characters from the book are brought to life through the combination of ink, metallic paper and are provided depth as they shimmer under light. This book demonstrates the power and flexibility of digital print techniques paired with the correct paper stock. I’m extremely excited to present this collection of corrupted digital characters. It has always been the intent of Drew and I to print our digital experiments for two reasons. First, to give legitimacy to the digitally corrupt artwork we’ve created, which is so often overlooked on the electronic screens. And second, to demonstrate the power and weight of print in an age that relies so heavily on digital techniques. 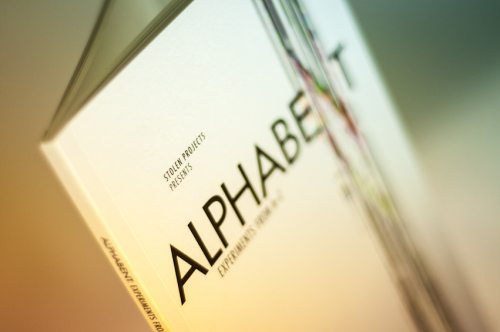 AlphabeNt: Experiments from A–Z is available as a standalone book for $30AUD, featuring foreword by British glitch aficionado Antonio Roberts of https://hellocatfood.com, introduction by Daniel Purvis and Drew Taylor, and process description accompanying each of the characters. A Special Edition of AlphabeNt: Experiments from A–Z, extremely limited to only 26 copies, is also available for $70AUD. 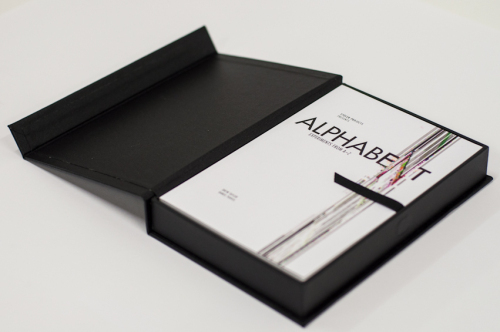 The Special Edition features the full set of 26 cards, the AlphabeNt: Experiments from A–Z book, packaged in a special handmade box custom designed by Adelaide-based Chasdor Bindery. Books will be available for purchase at launch and via Stolen Projects website as of Tuesday 26 February. A special launch video has also been created by British glitch artist Antonio Roberts. Roberts remixes the entire set of 26 AlphabeNt characters produced by Drew Taylor and Daniel Purvis into a 1 minute 18 second animation backed by the music of Australian glitch musician Ten Thousand Free Men & Their Families (http://10kfreemen.com).